UTV’s upcoming release Kai Po Che is the talk of the town as director Abhishek Kapoor has captured everyone’s attention with his film’s trailers. 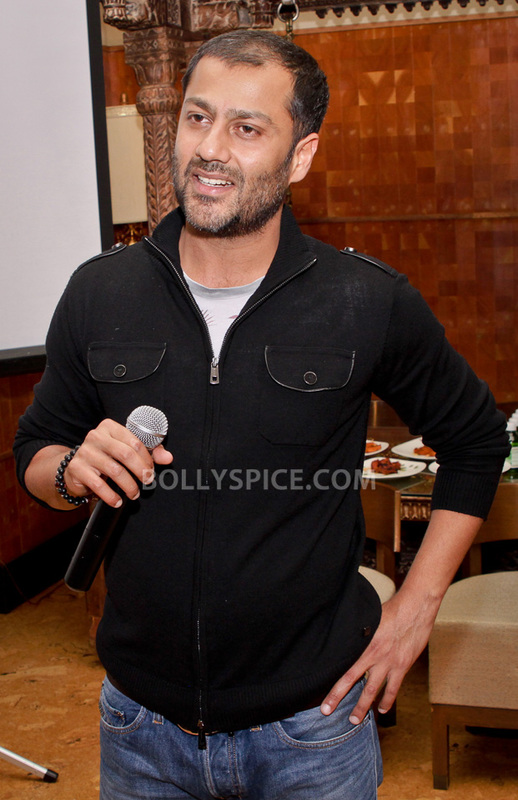 Kai Po Che will make its theater debut February 22 and to promote the film, Mumbai2NY invited Abhishek Kapoor to New York City. Hosted by AVS, Silk Angels, and ARIZ Inc., the event was held at Junoon’s Patiala Lounge in Mahattan on February 10. Local media, celebrities, industry colleagues, and Bollywood fans gathered to catch a glimpse of the Bollywood director. Also in attendance was actress Pooja Kumar (Viswaroopam, Hiding Divya). Abhishek Kapoor presented his audience with an extended look at Kai Po Che in which we met the cast including Sushant Singh Rajput, Raj Kumar Yadav, Amit Sadh, and Amrita Puri. While the cast is young and new in the film fraternity, their passion for Kai Po Che is felt across the screen. Abhishek Kapoor keeps the music as the focal point of his trailers not revealing too much about the film till it is released for the masses. Kai Po Che is based on Chetan Bhangat’s novel The Three Mistakes of Life; Kapoor told his New York crowd the screenplay was two and a half years in the making because he wanted to do Chetan Bhangat’s story of friendship justice. Abhishek Kapoor was appreciative of all the New York love and support as he took the time to mingle with the crowd and address all questions that were posed. Abhishek Kapoor now takes his film to Europe as it will make its world premiere at the Berlin Film Festival. For more information on Kai Po Che visit www.UTVgroup.com. 17 queries in 0.347 seconds.